Home » dead seo » dying seo » seo is dead » seo is dying » Is SEO Dying? Yes, It Is! Is SEO Dying? Yes, It Is! It’s good to see a post from Mani Karthik on Search Engine Land following an article published in SiliconIndia saying that SEO is one of the skillsets that will no more get you job. I first disagree, and then agree with what Silicon India publishes. Similarly, I first agree, and then I disagree with what Mani puts his opinion forward. I have published my opinion on the comment section of Search Engine Land, and I also feel that I need to extend this discussion further. Hence, I decided to publish a full post on my blog. Mobile Is Killing SEO: There is growing trend in mobile usage. The users' search pattern is getting different. Mobile users are mostly logged in, and keep chatting, checking mails, updating on FB, and tweeting throughout the day. Well, they are socially engaged. It’s true. What perplexes me is how ‘we' ensure that a particular keyword ranks if users on mobile devices are logged in? Google under SSL/HTTPS frequently tends to show personalized results. A few days back, Google has come up new content recommendation for mobile users. The content recommendation works for logged in users. Furthermore, mobile users tend to get more personalized results behind secure log ins. Add to this apathy, Google never shows search queries, and mask them as ‘Not Provided’ in GA, even if keywords for optimization purpose matter to SEO professionals. Social Media Is Killing SEO: The traditional algorithm of Google and its search results are primarily based on ‘Links’ from authority domains. This has been manipulated for a decade. Going social, and considering number of likes, re-tweets, +1d in G plus, users’ ratings and reviews, etc. look more prominent as valid social references of a quality site or post, for such site/post represents the quality content that creates utility for both socially and commercially engaged users. Many people in the industry believe that social is not about shares, and likes. If social is not about shares, and likes, then how Google considers these as valid references for measuring the quality versus Kolaveri (hype)? Engagement in social media comes from metrics like ‘shares’, 'comments in thread', ‘likes’, ‘re-tweets,’ 'Influences,' etc. Do you believe the value of a STAR cast on an advt. you see on TV, and then make decision to buy a product or you read the reviews of a product, ask your peers, and then make purchase decision? 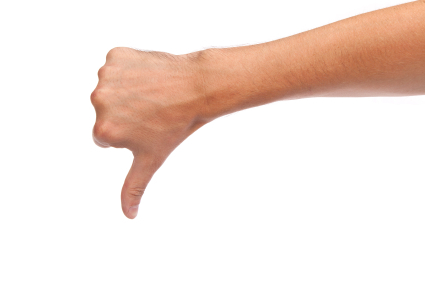 Social reviews, and recommendations based on likes, and shares are our Zero Moments of Truth (ZMOT). Not sure how SEO fits in ZMOT? Technology Is Killing SEO: Regardless of technology you use to develop your website, almost all of them have a library of various SEO plugins that address SEO technical issues within no minute. 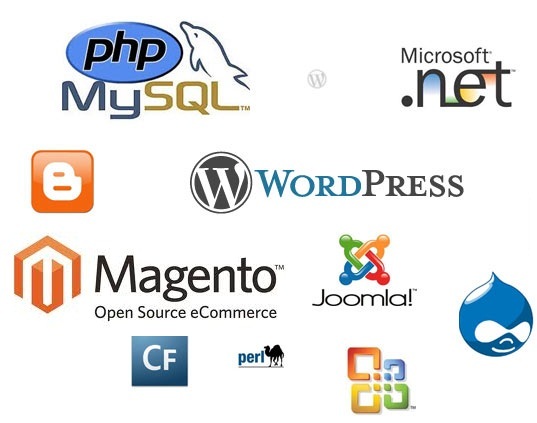 PHP, .NET, WordPress, IBM Web Sphere, and Magento have excellent SEO plug ins, modules, and extensions that address the complex SEO issues of a CMS based website/portal. For example, if yours is an ecommerce site built on Magento, buy or download free versions of SEO extensions, and install them to address SEO issues related to domain canonicalization, duplicate pages, URL pattern, handling dynamic URL parameters, Robots.Txt, Header Tags, Site Maps, etc. Google Is Killing SEO: Panda, Penguin, and Zebra, hopefully some more animals to bring in at Google zoo to drive SEO out of its reach! The logic seems simple -Quality, Quality, and Quality! 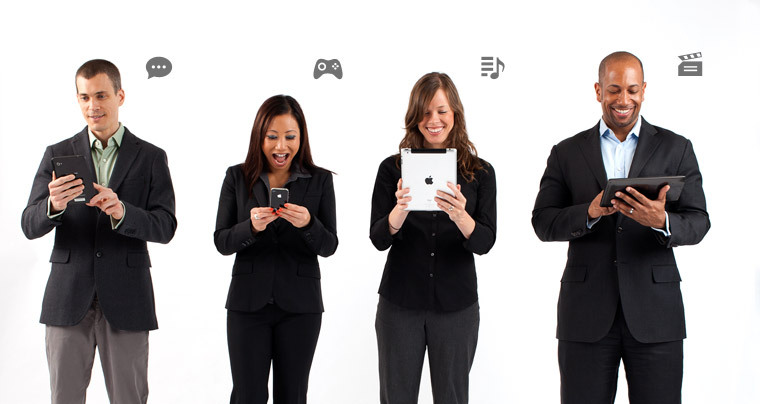 Quality comes from users, and users are socially engaged via multiple devices. Yes, the search engine is taking a paradigm shift from showing automated algorithmic results to incorporating social KPIs which are indeed more semantic and realistic. The way reviews, and likes are evolving as key metrics, the way users' search behavior across the devices is changing, the way ZMoT is gaining momentum, Google is changing its algorithm to value users’ recommendations and engagement more than valuing inbound links from different domains. If Google continues to value the traditional ranking algorithm, Facebook will change the whole search game. 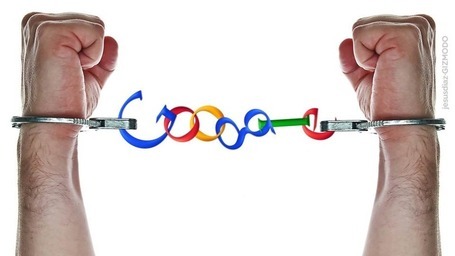 Google has no option but to drop its legacy algorithm and care for more social signals. This is what Google these days is doing. No wonder to know that Google no longer has a Search group. It's now called "Knowledge." This proves that the search engine does not want SEO to be alive for ever, of course, for its valid reasons. That's why the giant keeps recommending on users' experience and quality content. It seems logical that socially archive content and content freshness based on number of 'likes', 'tweets', 'shares', 'influence,' etc. look more prominent than showing results based on the traditional 'archive' search results based on manipulative inbound links, and stale content. Google discourages such old tactics of link building, and officially announced that press release or artificial links will not help in SEO. And, this is where "future Google" is hopefully moving towards, and is giving enough indications for social signals. When AOL acquired Huffington Post, we saw a closure of offshore SEO unit based out of Bangalore, India. Huffington Post never believes in SEO but a leading proponent of quality content. Furthermore, Forbes published an article” TheDeath Of SEO: The Rise of Social, PR, And Real Content that quotes Adam Torkildson, one of the top SEO consultants in Utah, "Google is in the process of making the SEO industry obsolete, “SEO will be dead in 2 years.” Matt Cutts' recent video gave hints about Google Penguin 2.0 update, and diplomatically says “some of us would be in for a long summer”. User Is Killing SEO: SEO is dying because we are going more social, and Google is going where trends are moving towards. Practically speaking, the trends are upward, as growing number of mobile users is increasing by leaps and bounds, minutes by minutes, hour by hour, and day by day. Social media usage is growing at phenomenal rate. Users’ search pattern, their needs, their queries, their privacy, and their expectations are changing. Let’s embrace this change, and accept the reality than simply satisfying ourselves with X, Y, & Z analysis to prove SEO is not dead. End of the Tunnel? 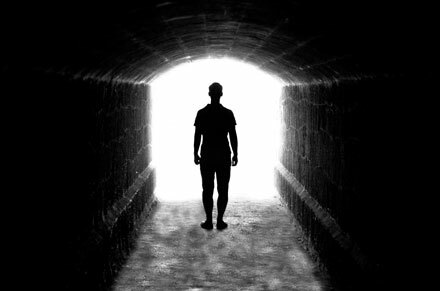 The death of SEO never means that no new life is born. We need to be reborn with new set of skills. We need to upgrade skills in a new transitioning digital economy. Remember, the ‘search intent’ of human beings can never be lost. As long as there is search intent, search engines continue to add value. It’s just that we need to explore ourselves to fit in a new digital ecosystem. Take a leave, and think. Else, enjoy a long summer vacation. :) Good luck! So long as people search, whether on Google, or Google Mobile, or Bing, or even on Facebook, some people will never be satisfied that they are ranked where they want to be and deserve to be in that search result. SEO is the art, science, or process of understanding why the rankings are in the order that they are, and using that knowledge to allow people to improve their ranking by specifically and efficiently improving their rating in the metrics that the search engine uses. SEO is not being killed by Social, Local, or Mobile search. It is being given an even wider set of canvases to work on. As a result, the leading conferences on SEO (Search Engine Strategies, and Search Marketing Expo) have had sessions on SoLoMo (Social, Local and Mobile) search for years now, as those things emerged. One thing it is doing though, is making it harder for the fake SEO companies that really understand nothing of search, and merely fake it by following a set of "SEO for dummies" steps they scraped from other forums and blogs. If it kills THAT kind of SEO, then great. We've been asking them to do that for decades. Ammon is completely right... It's not dead at all, just evolving to root out those who think they understand it and/or have in the past used black hat techniques to boost their position. +1 for the comment above. I for one hope the majority of people believe articles like this. That way they will stop pursuing SEO and make things easier for the rest of us. another +1 for the 1st commment... :). As usual, Ammon, you nailed it. Just this morning, I saw someone musing, "how long before the first 'SEO is dead' post shows up". The author beat the update - he must be the seventh son of a seventh son. As you said, we are simply painting on more canvases now... for those that make the effort, that opens up new opportunities. I suspect SEO will outlive most of us. Why? Because unlike many of us, it evolves. Good SEO is all about understanding what people are searching for, aligning great content that adds value with their wants and needs, and crafting it in a way that makes it easier for search engines to gauge its relevance without sacrificing it's appeal to the end user. That's as true today as it ever was. It's just that search engines are getting better at assessing the relevance of content using different signals. 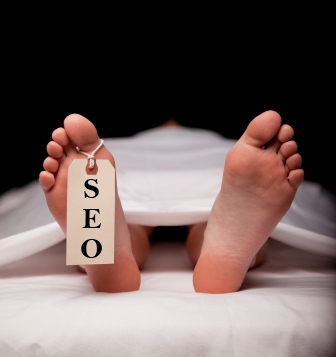 It doesn't mean SEO is dead -- just that it's different. The most significant change is that tricks and loopholes to manipulate the perceived relevance of content are getting harder to exploit -- so old "SEO" tactics, by and large, aren't working as well any more. Nor should they, in my opinion. All search engines want to deliver the most relevant results to their users -- not through any altruistic quest to make the web a better place... regardless of what they'd have you believe. They do it because increased relevance attracts more searchers, more searchers attract more advertisers and more advertisers generate more revenue. Delivering more relevant search results makes search engines richer! It's that simple. So how do you stay ahead of the curve? By focussing on relevant content that adds value for real people who you know are searching for that kind of content, making it easy for them to share it when they find it, and easy for search engines to find, crawl and rank. There is Google Localization which they have updated long time back. Is there any solution for Google Localization. I agree with your article. I have spent thousands of dollars on SEO companies. It wasn't until we focused on the social media that we saw an increase in web traffic. There is always some confusion in regards to SEO. 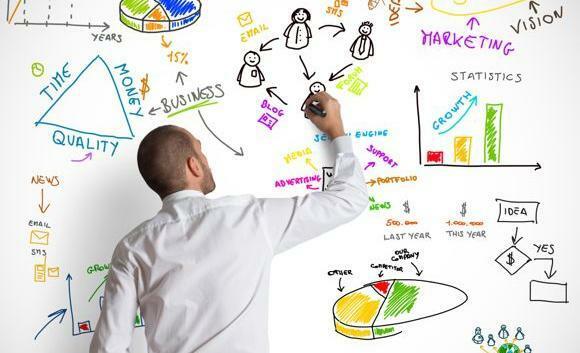 Many people here say SEO continues to evolve, and go even bigger. Literally, SEO’s abbreviates search engine optimization. While SEO’s core objective is to ‘optimize a website’ to improve organic ‘search engine rankings’, Google’s pdf indicates SEO means making a site Google friendly that never means ‘search engine ranking.’ Further, Google’s pdf on SEO needs a drastic revision today. If SEO is evolving as Google changes its algorithm, I don’t call it SEO. I firmly believe in VEO –Visitor Experience Optimization or Users’ Experience Optimization (UEO). Once we focus on VEO or UEO, Google will love it, and this is where the focus of the search engine is. VEO or UEO never means –On-Page and Off-Page. It rather encompasses whole of lot of human factors such as usability, social KPIs, product reviews, users’ engagement, quality content, users’ convenience, and so on. If you think, SEO evolves to all these, then it’s not SEO because all these elements are for VEO. I think Google is maturing and taking lot more factors then it used to be. These factors are now more human driven (social & not machine driven) and realistic then just being counting back links or keywords with some advanced algorithms. I think, SEO efforts would be now more human aware, conscious, realistic then it used to be and people will be able to find better content. I don't think SEO is dead just that it has upgraded and has to be looked and worked in different dimensions. Munaz, I agree that SEO is dying. But I believe you may have left out one important factor, volume. With the ease of producing a site these days (Wordpress, Weebly, etc.) anyone can create a website...so more and more people are doing just that. Google Localization is always helpful for local business. Updated news about Google Localization is also more helpful to increase high quality business activities. Thank more. Hey Munaz in a sense I agree that as Google is evolving itself day by day to cut out the tactics applied by SEO it can finish it up but still their is a reason to believe that SEO will live on because if Google is evolving so can the SEO market right?? :d Anyways basically I am just trying to say that today's Google and 10 years ago Google are ways different with each other so the SEO market might also change its ways depending upon the factors upcomming and might mould into something else because in any case every one wants themselves to see them on top that is the reason why SEO came into picture if the reason isnt gonna die then how can SEO?? :-) People are always gonna look on for ways to see themselves on top make their websites the most popular one.. Thanks Shveta for writing in, and shed lights on this subject. First off, let me clarify that SEO has never been a right discipline to market a product/service on search engines. The birth of SEO came to being to cheat on search engine algorithms. What was working as a proven SEO technique no longer work today. So, what were earlier SEO tricks? Link building, Keywords density, Meta tags, and SEO software such PositionGold, WebCEO, and other a few. Nice discussion!!! I liked it very much, Thanks for share.. These are wonderful tips. I learned a lot of things from here and these are very useful information and tips. Thanks for this. I completely disagree with some of your points. Like social media is not killing the SEO instead it is becoming the part of SEO. And your another point that Google Is Killing SEO is also not that much true as Google's hard look at SEO is making it more powerful(but difficult at some point). Its just like no every site need a SEO service if they want to keep them alive on Internet. Great Article. In my opinion users must kill SEO, because some of the user doesn’t follow the guidelines of SEO. If they follow perfectly SEO never dies. Unique and detailed way of putting your theory. SEO, in the end, has turned into a mash up of all forms of cached/indexed content on the www. I agree with Ammon. I actually just created a blog on how to use paid advertising to generate organic leads, and this is a create information blog I think some users like us would love to read. SEO used to be as simple as one two three... But now the Google updates have made it a harder but much needed thing still. But like Article Writing for SEO said, it's the user that thinks SEO is dying which is making harder. You just need to learn to adept to new policies and start focusing there! Anyways, great article and love the information comments!